Mentally, getting old isn’t so bad. Physically, it seems like it’s all downhill, especially once we hit our 30s. We lose flexibility, balance and strength and the aches and pains start to pop up out of nowhere! How we look physically comes down to two main factors – what we eat and how stressed we are. The skin on our face is one of the first things to be affected by poor diet and stress. Yoga is one of the most effective things we can do to help our skin to stay beautiful and glowing. And there are a variety of different poses that will work to your advantage, each with different benefits. Yoga works to improve your digestion and circulation and when your body has better blood flow, it naturally produces glowing skin. When it doesn’t flow, your skin steps in to help eliminate toxins, causing acne, dullness, dermatitis, eczema and breakouts. A simple but regular sun salutation practice will help to stimulate your body to function properly so that you can eliminate waste through digestion and not through your skin. The graceful twelve pose sequence exercises the entire body. Each position counteracts the one before, stretching the body in a different way and giving a healthy massage to the internal organs. You can also try out these specific postures to help with better digestion. These days, everyone everywhere is busy. Busy has taken over our lives and has brought its little friend “stress” along for the ride. Faced paced city living, working crazy hours, trying helplessly to fit everything in and spinning multiple plates at once, has led to the stress-first culture we now find ourselves in. We think we can handle it and we continue day by day fitting even more in and always saying yes, until one day we wake up look in the mirror to wrinkles and dark circles and wonder how they got there – we were too busy to notice! When we’re stressed, the body releases cortisol, the primary stress hormone that increases the amount of glucose in the blood. How does this affect the skin? Well, cortisol breaks down collagen, which as we know is the magic ingredient to youthful looking skin. It prevents the skin from sagging and keeps us wrinkle free. Collagen naturally decreases as we age and being “stressed” unfortunately speeds up the process. Yoga, meditation and breathing techniques can all help to reduce our stress and keep us beautiful inside and out. Here are a few glowing-yogi poses to add to your routine.. Downward Dog increases blood flow by placing your head below your heart. Plus, it stretches your spine and lengthens it. Half Lord of the Fish gives you internal organs a great massage, stimulating the liver, kidneys and digestive system for detoxing and energises your spine. Supported Shoulder Stand has many benefits which cover all the body systems. As well as calming the brain to alleviate stress, this pose increases blood supply to the head and improves the supply of fresh blood to the whole circulatory system. It detoxifies the body which leads to youthfulness and anti-ageing benefits. Get upside down girls! Of course yoga is not the only way to get glowing skin! Drinking plenty of water, getting a good night’s beauty sleep, eating clean and treating yourself every so often with a facial are all wonderful ways to notice a big difference in the way your skin looks and feels. New events and classes straight to your inbox! We treat your information with respect! 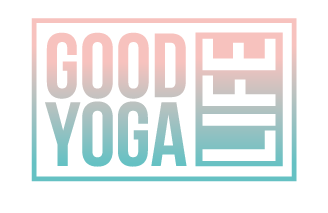 Yes, I'd love to receive emails from Good Yoga Life! © 2016 The Good Yoga Life. All rights reserved.